Not exactly a first on this blog, (I have completed at least two other tags such as these). but it qualifies as a rarity. 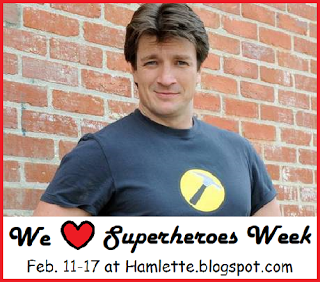 This is for Hamlette's Soliloquy's "We Love Superheroes Week" Event. 2. What's your favorite superhero movie? 3. Do you have a favorite superhero couple? No, my superheroes are almost all loners. 4. What was your introduction to the world of superheroes? My father had a gas station which catered to the lake crowd and he stocked magazines and comic books. I read most every comic book he bought, especially the superhero ones. 5. If you could be any superhero for a day, who would you like to be? I'll give you a hint... "It's clobbering time!" 6. Do you have a favorite super villain? In movies, Heath Ledger as "The Joker" (even though I prefer Marvel over DC as far as my superheroes). As far as comic book villains, however, my favorite was always the Spideman nemesis; The Vulture. 7. Can you think of a superhero who should get their own solo film, but hasn't yet? 8. Do you read comic books? 9. Why do you like superheroes? My heroes have always been "super"
10. Have you ever cosplayed as a superhero? Feel free to share pics if you want! Not unless I did when I was a kid for Halloween. 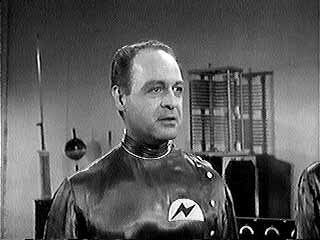 But I did create a superhero for a role-playing game once, "Captain Amazing" (for which I created the secret identity which became my blog name Winthrop J. Quiggy). But I didn't dress up for it, which is what I think cosplay actually means. I kind of like to compare the Thing with the Hulk because they are kind of the same in some ways. but my introductions to him is through the movies so perhaps I shouldn't make judgements. did you like the last fantastic four movie? it's not terrible but I thought it was worse then the previous movies. aren't most superheroes loners because they're too busy fighting to have a love life? but I sort of prefer it, love interest are always so fickle, at least, it just seems like heroes gets pair up for no reason and then they find a reason to break them up. so it's probably better they're alone. I saw the last one in the theater but haven't watched it since. Although I love the Marvel Comics Universe, I tend to get annoyed with how long it takes to create the characters in the first of a series. Besides Ant-Man, I thought the newest one dragged out the origin too long. Of course, I prefer Michael Chilkis' Thing over Jamie Bell's. Thanks for reading. Aww, I like the Thing. Especially in the first set of Fantastic Four movies -- he was really sweet in those. The "first" being Michael Chilkis? I assume you haven't seen (or maybe even heard of) the Roger Corman 1994 attempt at filming the 4. It was never released on home video, so you can only find it through bootleg copies. Thanks for reading. Yes, Michael Chiklis. I didn't know there was a version in the '90s! That must have been... interesting.